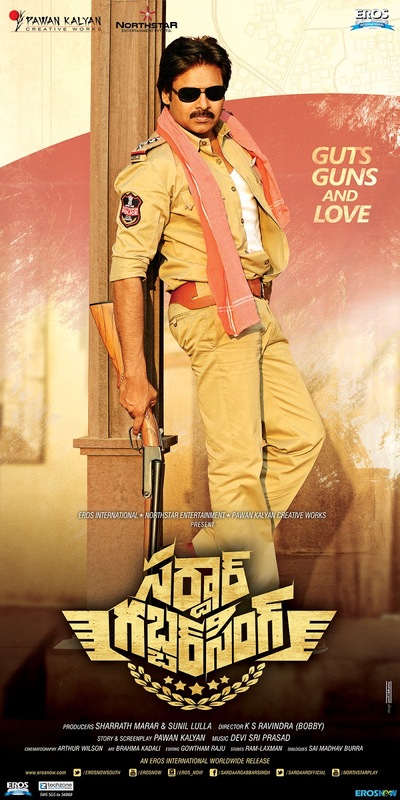 Pawan Kalyan Sardaar Gabbar Singh movie audio launched in style. It was a very special day for all the fans of Megastar Chiranjeevi and Power Star Pawan Kalyan and witnessed the grand reunion of the Mega brothers on the same stage after several years. 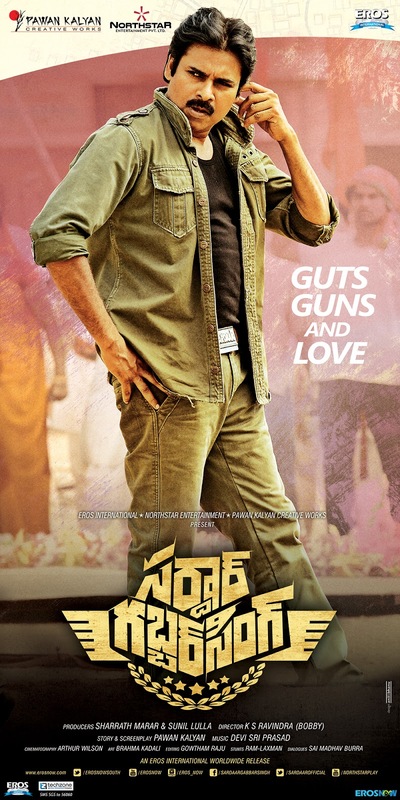 Chiru was the chief guest at the event and he unveiled the film’s audio album. Kajal is the female lead in this film. It was directed by K. S. Ravindra. 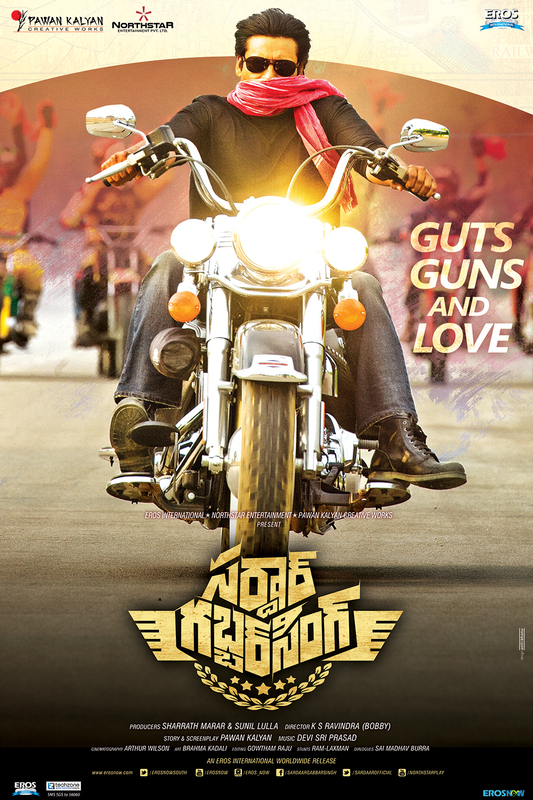 Produced by Pawan Kalyan and Sharath Marar jointly under their banners Pawan Kalyan Creative Works and Northstar Entertainment Pvt. 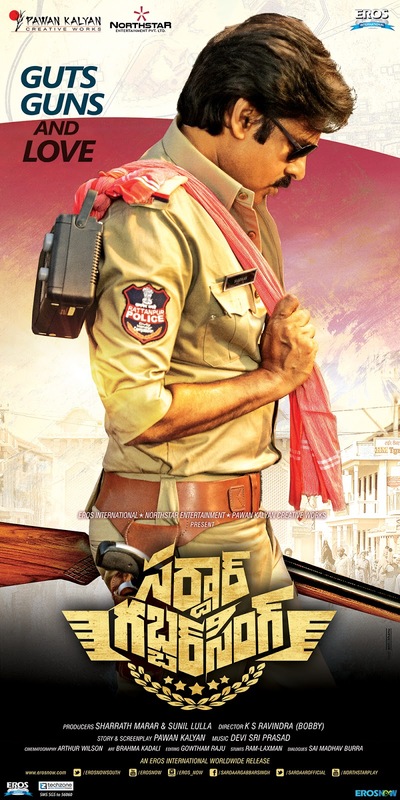 Ltd. in association with Eros International, the film is not a sequel of Gabbar Singh. 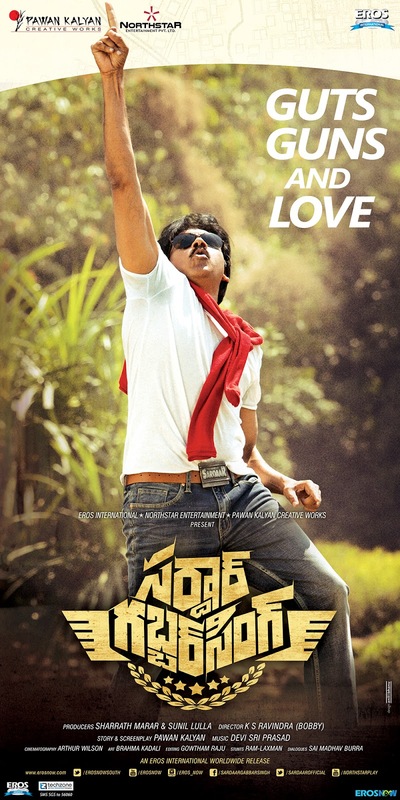 Music was scored by rock star Devi Sri Prasad. 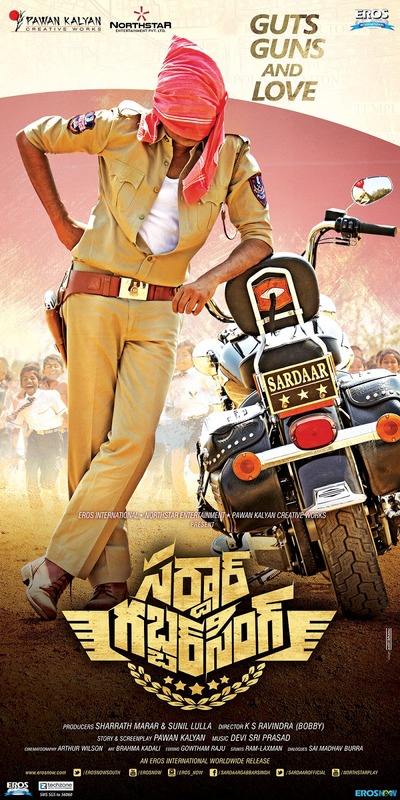 Check out latest posters of Sardaar Gabbar Singh.